As a manager, it is part of your job to keep your employees happy. That will generally help them perform better, and provide the best service to customers. Developing a positive attitude requires managers to show affection in way that does not hinder the overall output a company is required to produce. All good in the company must be initiated by you. You need to set a benchmark for yourself first before even considering the thought of talking or spreading positivity among your employees. Positive talks must stem from your own actions and words, where all you want to inculcate is optimism. For instance, if the company has not performed well in a given year, deal it with an expectation to do well in the coming year. Make sure that you work hard on creating an organizational culture that promotes positivity from top to bottom. By treating everyone equally you are creating a positive environment where everyone feels satisfied and motivated to give their best. Ensure that everyone is treated with respect, and the burden of failure or success falls equally on everyone. This way you won’t have to pinpoint a particular employee, knowing that everyone is focused enough to show improvement. Take your employees in confidence. If they come up to you for help, or discuss a particular situation, make sure that their privacy is intact. Breaking their trust will only lead to a violation of your job specification, where no employee will feel valued or value your expertise. It is not bad to check your managerial structure, and identify any loop holes or deficiencies that are making tough for employees to maintain a positive attitude. Are necessary reward and recognition programs in place for employee satisfaction? This is an important consideration as the main thing that drives employees is a proper rewarding process where their work and input is appreciated. Employees will further want a learning environment where proper training is carried out, which positively impacts their development. 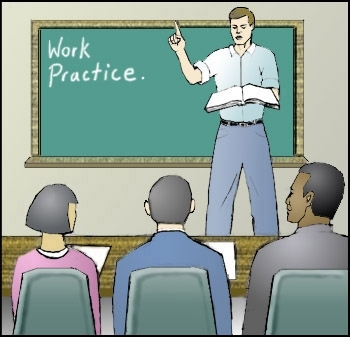 Learning new work-related tricks and procedures will enhance their ability to work in an efficient manner. Communication between employees and the owners or managers is necessary, where the former is able to provide valuable insight or suggestions. Holding periodic staff meetings is a good way to keep everyone in the loop.